Colleen was born and raised in Auburn, California. She attended the University of Oregon, earning a Bachelor of Science in Human Physiology, and then earned a Master of Science in Exercise Physiology at San Diego State University. She completed her Physician Assistant Studies at the University of California-Davis. She is a Board Certified Physician Assistant (PA-C), member of the American Academy of Physician Assistants (APPA), California Academy of Physician Assistants (CAPA), and Association of Physician Assistants in Obstetrics and Gynecology (APAOG). 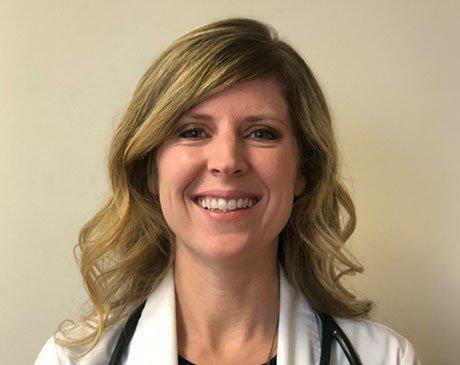 She has a solid foundation in general family medicine, as well as extensive experience in nutrition, exercise, and general wellness and preventative care medicine. In addition, she has experience and a strong interest in woman’s health and wellness. Since 2013, she has brought her compassionate, genuine attitude to the practice. Outside of work, Colleen enjoys everything outdoors, including running, biking, swimming, hiking, as well as Yoga. She is married and enjoys spending time with her husband and two children.